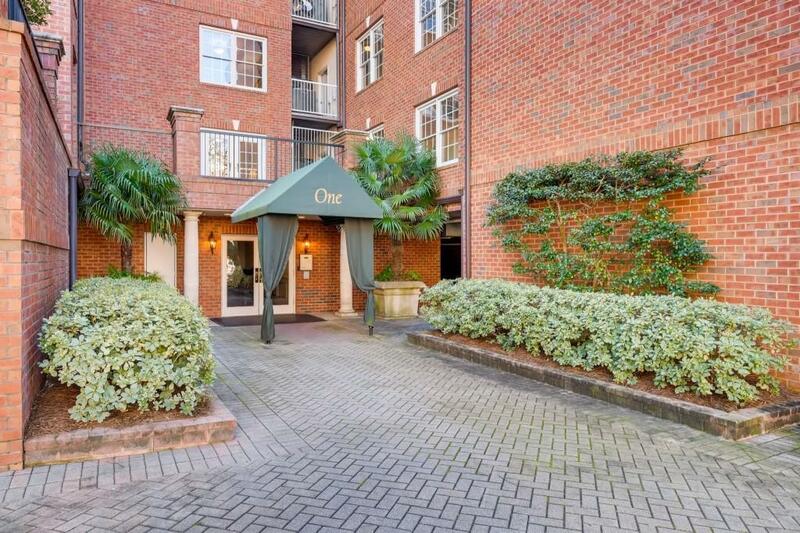 Stunning Buckhead condo w/ incredible wooded 50x20 courtyard - largest in complex. New wide plank white oak hardwood floors. Updated kitchen w/ new cabinetry, new appliances,& granite countertops. Large den w/ fireplace. 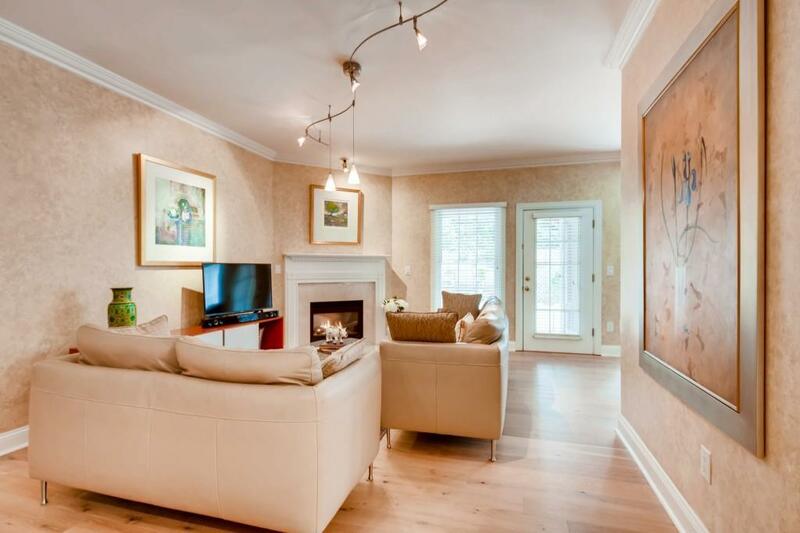 Master w/tray ceiling & custom Elfa walk-in-closet. Master bath w/ frameless shower, garden tub,& dual vessel sinks. Laundry w/ storage cabinets & wine fridge. New HVAC. Large storage unit included. 2 covered parking spaces. 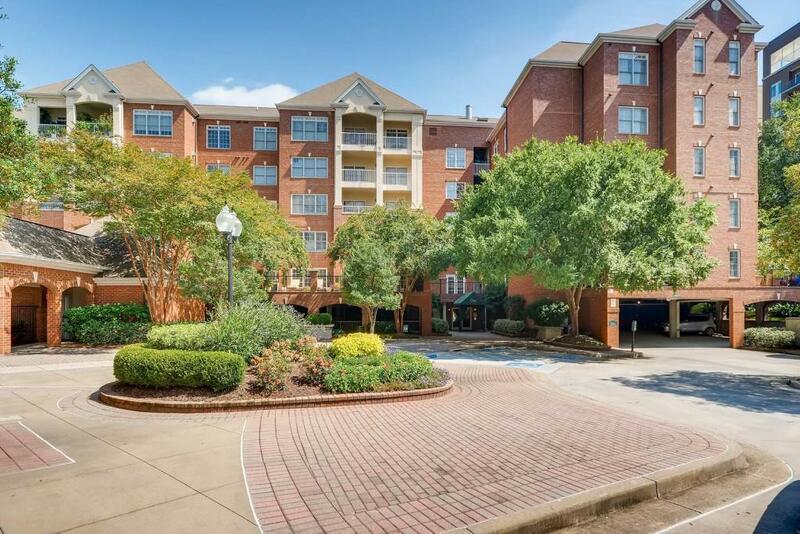 Great location- walk to Beltline, shopping, restaurants,& more. 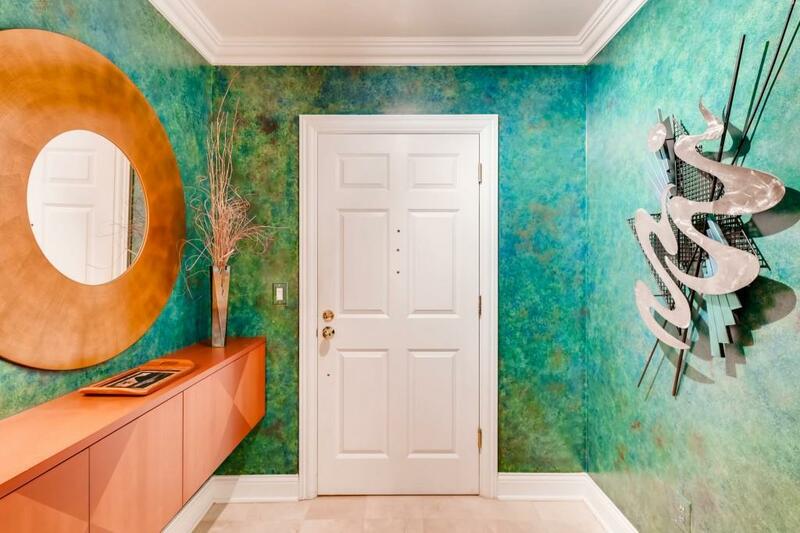 Amenities include 24 hr concierge, pool, theater, club room,& gym.